If you’ve read my recent blog posts on the importance of progressive web apps and progressive web apps case studies – you might’ve known by now that progressive web app development is a promising trend, which can efficiently improve your productivity and take your business to great heights. Having said that, you might want to approach an app development company in the UK or any other country and having a progressive web app developed. Although, before you do so! I would suggest you learn a little about them and have an idea of how a great progressive web app looks like. 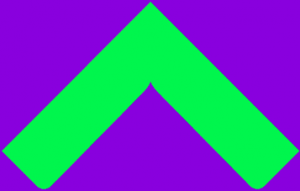 The progressive web app (PWA) of an emerging real estate provider, Housing.com has made it relatively easy for people to search for houses online. No need of visiting property dealer offices or falling trap to fake listings and website. All you need is to select the location where you want the house. Within a few seconds, all the properties in that area will be displayed in front of you. You don’t even need to register. Can anything be easier than this? How many of you loved flying paper planes in childhood? This progressive web app called Paper Planes has brought this childhood memory back with a little twist. Hence, you don’t use real paper. You create a virtual paper plane on your phone and launch it instead. After that, it will fly around the world. Apart from this, you can also catch other planes and put your stamp on them. The utility is too much fun. You must check it. Google IO is one of the most prominent tech conferences in the world. Not tech enthusiast can afford to miss them. Being well aware of the fact, Google has created a progressive web app where you can explore all the sessions from the event. At present, they only have the clips from Google IO 2015 & 2016 only. Hopefully, they’ll soon update the sessions from 2017 as well. Code NASA is a gift for every programmer fascinated by aeronautics and space science. In the progressive web app, NASA has listed over 365 open software projects. You can check them, see how they work, download code from GitHub, and become a better coder. You would definitely not want to miss this golden opportunity for learning. 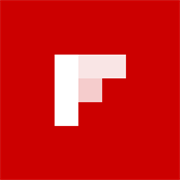 For this purpose, you’ll need an effective app and Flipboard is exactly what you need. The progressive web app contains latest headlines related to lifestyle, technology, health, finance, and many other topics. Do you love drinking beer? Well, this handy progressive web app is only for you. Consider it as a beer encyclopedia which contains information about every type of beer in the world including some really interesting facts. So, what are you waiting for? Go ahead and check the PWAs. You’ll admire them for sure. Good luck! A writer by passion and profession, an aspiring poet, storyteller, and music lover. Neeraj has authored over 600 articles on different blogs and has presented 1 research paper.